Your credit score is one of the most important things that will follow you throughout life. Nearly every lender will view this core to see how well you have managed your credit responsibilities over the years. Lenders typically look at your FICO score, which goes as low as 300 and as high as 850. Maintaining a good credit score while in medical school is imperative to getting your post-educational career off on the right foot. While it’s very likely you will rack up a significant amount of debt during your time in medical school, you can still manage to keep a good score and good standing with lenders. The easiest way to build and maintain a good credit score while attending medical school is to pay all of your credit card bills on time each and every time they are due. You are also advised to pay all of your bills in full each month if possible. Keeping a small balance and a reasonable number of credit cards are two other ways that can help improve your score dramatically. Conversely, missing payments, having loans that have entered delinquency, maxing out credit cards, having too many credit cards and declaring bankruptcy can all have a negative impact on your score. If you are ever curious about your score, the Fair Credit Reporting Act allows for one free copy of your credit report from the three major bureaus once a year. 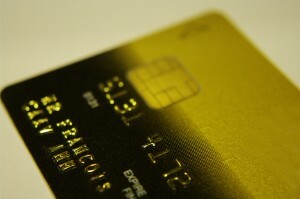 You can request a report without your credit score being affected by visiting AnnualCreditReport.com.